Welcome to Michael R. Null Middle School. 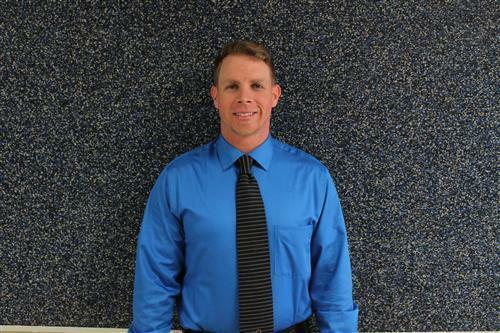 I am excited to enter my 13th year in education, and 9th year here at NMS. After graduating from Texas State I moved to Houston and began teaching science in Galena Park ISD. A few short years later, I moved to Sheldon ISD and was part of opening NMS. I have spent 6 years in the district as a science teacher, and then became an Instructional Coach here on the campus. Now, I will be serving the students and parents of Null as the Assistant Principal. As the Assistant Principal, I will work diligently to ensure NMS provides the best possible education for our students, making sure students are prepared for high school and beyond. At NMS, we are committed to excellence in instruction and the success of our students, and I encourage you to partner with us in support of our students. This year, I am excited to a part of the new S.T.E.M. (Science, Technology, Engineering, and Math) program here on our campus. This program will provide unique challenges and opportunites for the students that will change the trajectory of their future in college and/or career choices. If your child is part of this program and you have questions, or if you are interested in learning more about the S.T.E.M. program, do not hesitate to contact me. Please let me know how I may better serve you.